Every now and then I come across something really special when doing my bush restoration work. 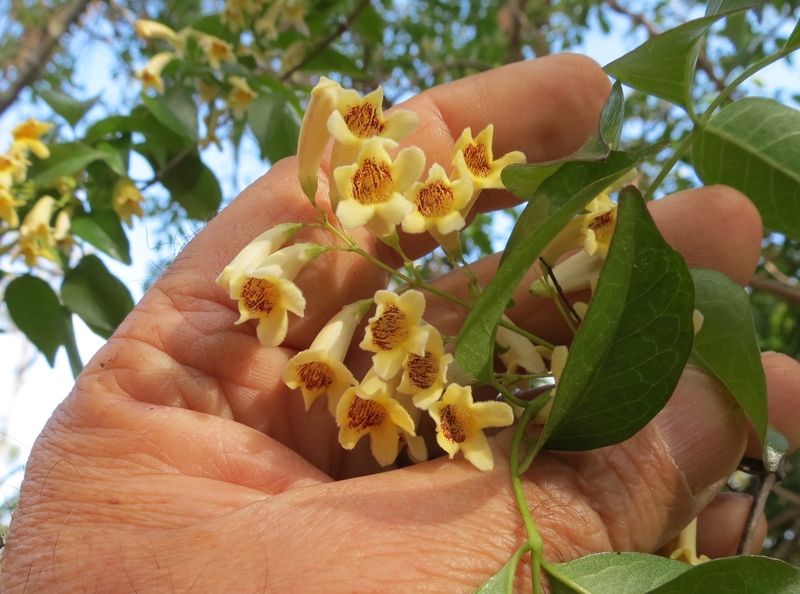 This morning it was coming across this Wonga Wonga Vine Pandorea pandorana covered in hundreds of flowers. I have been working in the area around this vine for months creating a barrier to stop the spread of Guinea Grass Panicum maximum and remove carpet of huge Asparagus Fern Asparagus aethiopicus. I was in the area only a few days ago and didn’t see any flowers then when I arrived this morning the vine was covered in flowers. 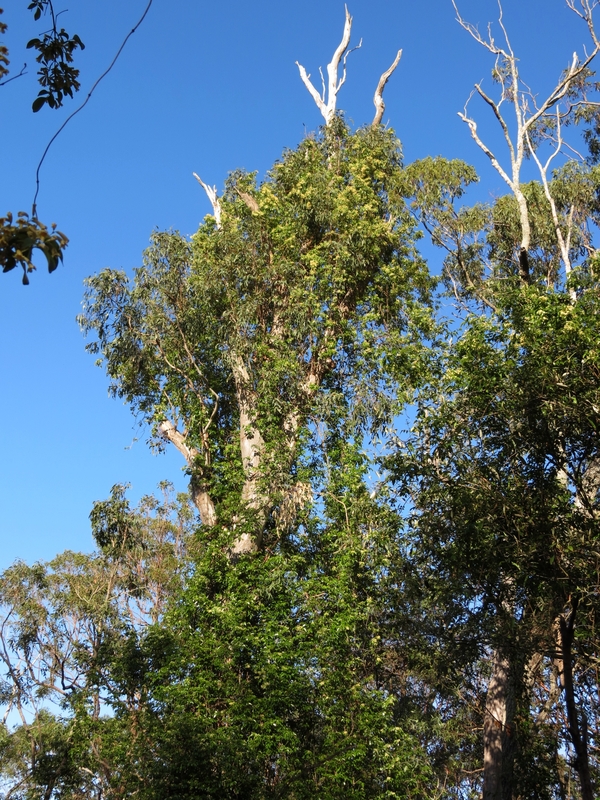 I have seen Wonga Wonga Vine in Toohey Forest around the Nathan Campus but never in Mt Gravatt Conservation Reserve. This exciting find means we have not identified two hundred and seventy-two different native plant species found in this special island of bushland surrounded by the suburban matrix of houses and roads. That means in 66 hectares we have 11% of the total native plant diversity in the whole of the 22 million hectares of Great Britain. Wonga Wonga Vine is a vigorous twining plant with this patch almost covering a huge old stag (dead tree) creating great habitat for the small forest birds to hide and nest. Being right in the middle of the area I have been clearing of weeds, this vine will have a great opportunity to spread as part of the natural regeneration that is all ready occurring with Love Flower Pseuderanthemum variable, Pink Tongues Rostellularia adscendens and Scrambling Lilly Geitonoplesium cymosum returning. Wow that is a lot of native plant species in one area! Great find Michael. I love hearing this kind of news! Many thanks for your continued work in this area!